Investing in Overlake is an investment in the future of healthcare on the Eastside. While each step forward has met with resistance from some quarters, overall, we the people have supported, applauded and extended each advancement. We invest in the future to make the world a better place for ourselves and our children. And we are far from finished. Technology presses forward at a dizzying speed and medical advances impact both the length and the quality of our lives. Overlake invests in the future through on-site research and the deployment of new discoveries and treatments every day, and the Eastside invests right along with us. As a 501c3 nonprofit organization, Overlake relies on community support to continuously move forward, utilize cutting-edge technology and pursue promising new approaches. The community has helped build Overlake from the ground up, including the recently completed Cancer Center. 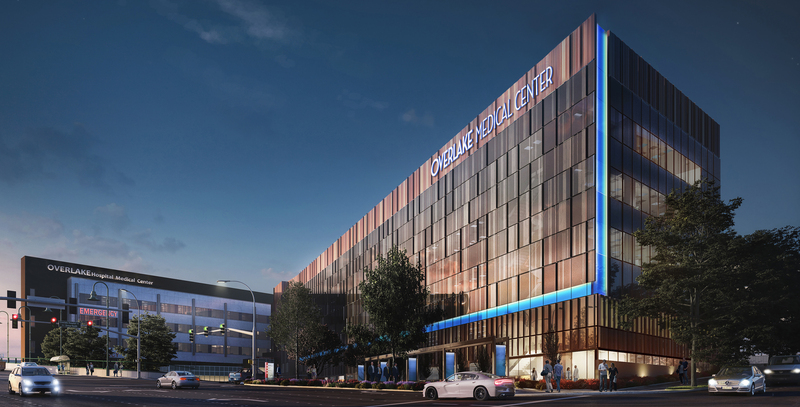 Our Eastside neighbors support the delivery of world-class medical care every day, and community support is playing an instrumental role in funding Project FutureCare, the most ambitious campus renewal project in our history. Investing in forward-aiming research and innovation is a perfect fit for the tech-friendly Eastside. Click here to learn more about the community-powered work of Overlake or to make an investment in the healthcare of the future.